Gary Yamamoto's Heart Tail features a unique heart-shaped paddle tail. This versatile swimbait can be fished deep on a jighead, by swimming it on a Texas-rigged, or on the back of a swim jig or chatterbait. 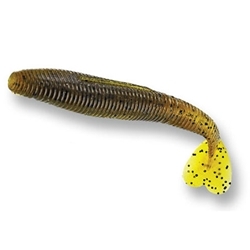 The Heart Tail features an extra-large hook cavity which was designed for better hook penetration.